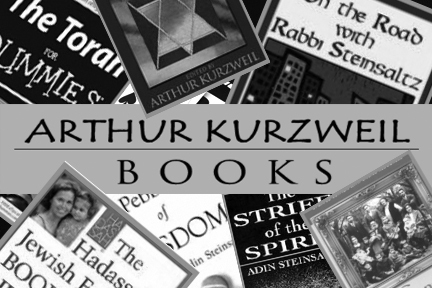 Talmudist, Kabbalist, genealogist, magician and author Arthur Kurzweil considers himself something of a Jewish King Midas. Just as everything Midas touched turned to gold, everything he touches turns Jewish, said the scholar who will be in Portland for a community-wide scholar’s weekend Feb. 8-11. The weekend is sponsored by P’nai Or of Portland, Havurah Shalom, Congregation Shir Tikvah, Congregation Shaarie Torah and the Jewish Genealogical Society of Oregon. The weekend originated when P’nai Or selected Kurzweil as their annual visiting scholar after several members heard him speak at a Jewish Renewal retreat on the east coast. 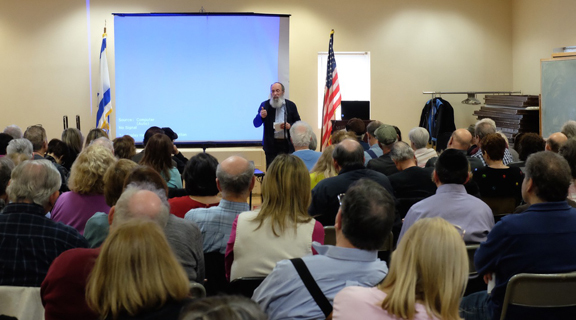 The resulting schedule includes “something for everyone,” said Fromer (see listings below), including Shabbat services, sessions on Kabbalah and Talmud, a magic show, patron’s brunch and genealogy workshops. Author of several genealogy books including “From Generation to Generation: How to Trace Your Jewish Genealogy and Family History” and “The Encyclopedia of Jewish Genealogy,” Kurzweil traces his interest in Judaism to his personal search for his family roots. While outsiders often think of genealogy as simply a tangible collection of names and dates, Kurzweil said genealogy research provides a connection to family, history and heritage. “Our families were torn apart and the people who do genealogy are trying to heal that,” Kurzweil said. In fact, it was a picture an elderly relative showed him that launched his study of the Talmud. Looking at the picture of one ancestor, he noticed books in the background, many of which were volumes of the Talmud. “I came from a family who did not give me much of a Jewish education… I didn’t even know what it (Talmud) was,” Kurzweil said. His interest in the Talmud prompted him to contact Jerusalem Rabbi Adin Steinsaltz, whose groundbreaking English commentary of the Talmud is considered a standard. Impressed by something Steinsaltz wrote, he called Steinsaltz’s office and offered to “do anything to help,” including picking him up at the airport at 5 a.m. the next time the famed rabbi came to New York. 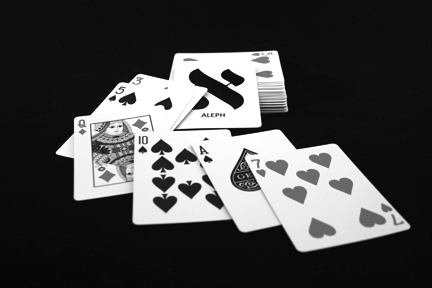 As his interest in Judaism spread, it began to enter other parts of his life, including his magic performances, which he had begun in third grade. He said his performance “Searching for God in a Magic Shop” combines entertainment with exploration of very serious questions about evil and suffering. “The feedback is I’m able to talk about those subjects and keep it entertaining and the tricks help to explore these eternal questions,” he said.